A powerful earthquake rocked the east coast of Taiwan this week, leading to at least nine people losing their lives, and hundreds injured. More than 40,000 homes are still without water. As the search for survivors continue, let us all pray for the people of Taiwan. 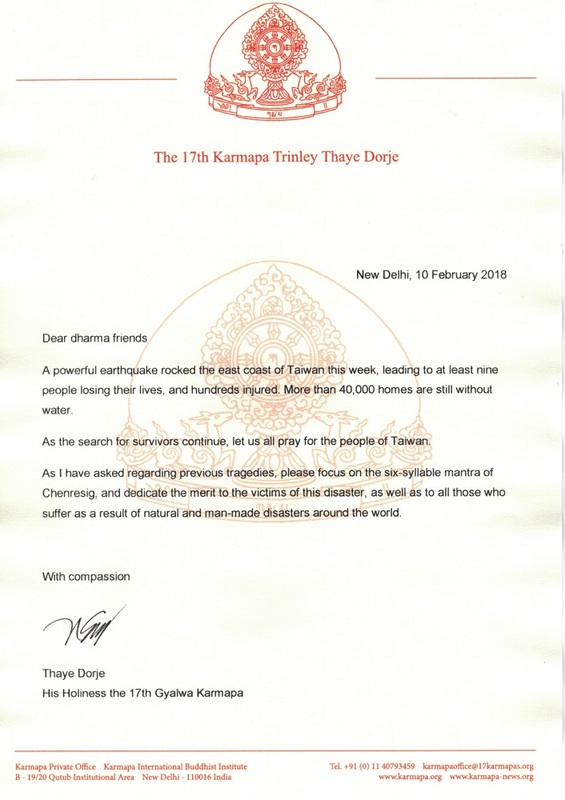 As I have asked regarding previous tragedies, please focus on the six-syllable mantra of Chenresig, and dedicate the merit to the victims of this disaster, as well as to all those who suffer as a result of natural and man-made disasters around the world.